Brazil is striving to reach a desirable economic point, its role as an organizer of recent FIFA World Cup and Olympic is an example of that effort. But due to frequent turmoil in the socio political atmosphere of the country, this world’s fifth most populous country is still struggling for a better life standard of major portion of its population. 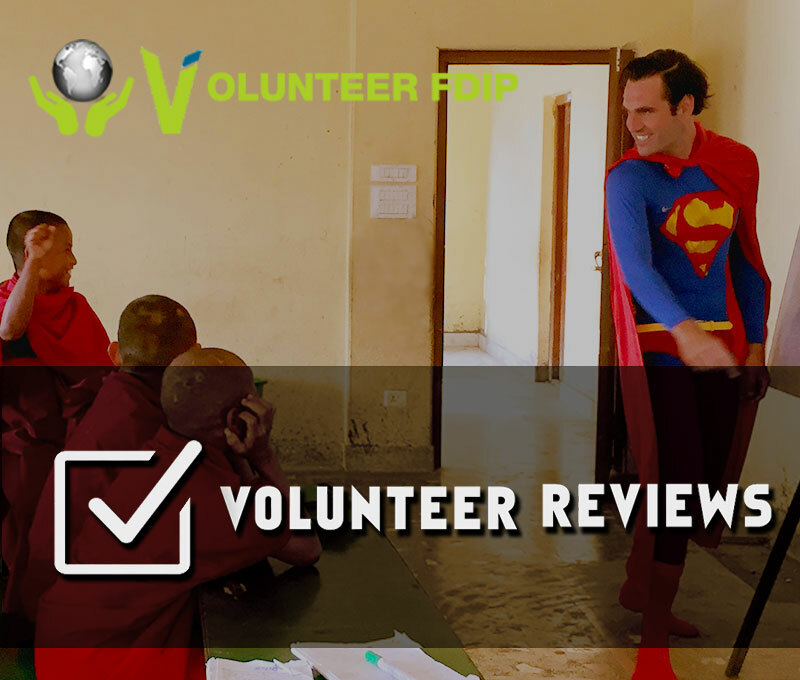 As a volunteer in Brazil, you will make some significant contribution to the movements. Teaching English in the local schools of the Brazil is one of the most rewarding and fruitful experience for those who possess the interest and skill of teaching. Though Portuguese is the national language, Brazilians also extensively use English in their communication and Education and in this generation of globalization, learning English would bolster the future prospects of the kids in Brazil. If English you Native language, or you have a good command in this language then volunteering as a English teacher in Brazil can a fit for you. As a English teacher volunteer, you will assist the teachers of the local schools by helping with the daily classes. You can also add a new flavor to their curriculum and teaching methods by introducing some new ideas. Students are in the classes are young brains, they are curious to learn and they feel excited to behold something new. Some volunteer from far abroad can provide them the reason of the curiosity, the enthusiasm of learning. As a volunteer teacher, you will provide them that energy and you will bring back some beautiful memories of that process. Every child on Earth is a gift to the mankind. A few of them are very special, often recognized as the children of Gods. This project is meant for those kind hearted ones who are looking to serve such disadvantaged children and help them in their capacity growing. Such children may receive material gifts time to time, but the moment you will spend with them will itself be the greatest gift. You will definitely be having a feel of greatness and gratitude to yourselves, as such altruistic acts provides life long memories and inner bliss. There will be several options for you to do with kids like playing or coaching them sports, sharing music and dance, arts and paintings, tutoring their studies, weekend excursion, watching movie and theatre, picnic and much more depending upon your interest that must be under the norms of the organization. This project is based on hands-on and playway method activities. Therefore, your creativity is your asset. There is no qualification or any other criteria required, but if you are able to communicate in Portuguese, you could connect easily with the kids and the locals. You must be child friendly and flexible keeping the children needs in the utmost consideration. You must not fail to abide the rules and regulation of the volunteering organization. This is an interesting program for the ones who love to travel and have basic computer skills or more. Rio is considered as one of the most beautiful and joyous cities around the world. You will be volunteering this city to help the disadvantaged children in developing computer literacy skills. You can also be a part of community computer literacy program where you will be helping the people in the community learn the computers and be techno-friendly. You must have at least knowledge of soft skills like Microsoft Office, Paint Brush and basic windows functions. Additional IT skills on webpage, graphics, multimedia and other fields can be additional assets to your teaching. Your creativity and style of teaching will enhance the children and locals to learn and grasp quickly. If you are extrovert, you can easily mix with the people. This program is injected at beautiful city of Brazil, Rio and is designed for the volunteers who have knowledge or experience of athletic games and sports. You can design, train and organize athletic activities for the disadvantaged children, who you will be serving during your project. Such activities will not only help the children to get rid of their addiction to drugs, also will boost them with their physical, emotional and mental health. Athletic practice will bring up their cognitive development and make them experience the essence of living a healthy and well-being life. You need to have athletic skills and experience of this field. Ability to communication in Portuguese will definitely ease you mixing up in the environment. There is no qualification required for this project, except your willingness to serve such children. Your ability to conduct the activities in child friendly and learning environment will definitely be an asset for you. This is a program designed to help disadvantaged and economically backward women. You will be working in the community to help women learn the handicraft skills of sandal design, sewing, painting, perfumes, pottery, candle making, portraits or any other fields. The organization will then help the skilled women to turn their handicraft skills to income oriented business. In addition to this, it will also support the women empowerment, and as a whole, in raising the living standard of the family as a whole. Your basic handicraft knowledge will be enough to qualify for the project. Ability to speak Portuguese will be a merit for you to easily mix up with the local women. If you have prior experience or taken any training in handicraft, you may design the course as per your duration of the stay and apply for an organized teaching-learning experience. All the necessary crafts and materials will be provided by the organization. Brazil is the land of Footballers, Soccer Players. From football legend Pele to the current heartthrob Neymar, this game has defined the legacy of Brazil for generations. Football is in the spirit of the Brazilians, every football event is celebrated like a great fiesta in this country. If you acquire the skills of playing Football, if you are enthusiastic to share the tricks and art of this game to the kids of Brazil, you can join our Sport Program and Football Coaching. There are several health issues in Brazil arising due to the poverty and lack of public health awareness. Childhood mortality, motherhood mortality and death by the transmissible and non-transmissible diseases are bringing up the necessity of major concern for health care and health awareness. As a volunteer in health awareness program in Brazil, you will join the campaigns designed to eradicate such grave health issue looming around the communities of Brazil. Global Warming and the Climate Change is the most alarming threat of this century. Amazon Rain Forest holds a major portion of the biosphere of this planet. More than half of the Amazon Rain Forest is in Brazil. Over the past two decades, Brazil has been praised for reducing the deforestation down by eighty percent. This success has global significance both for species conservation and climate regulation. As a volunteer in environment program in Brazil, you can participate in different campaigns organized for the conservation of environmental and natural elements.